I don’t know about you, but I sweat. Like a hog. After a workout (or two), my laundry room staanks! Throw a sweaty, basketball playing, teenage boy into that mix and, well…. let’s just say it’s not all sunshine and tulips! WIN, not only leaves your stinky, sweaty clothes smelling fresh, it is also tough on stains. Trust me, with WIN detergent, you can’t lose. You can purchase WIN for yourself here. Use WINGIVE1 at checkout for $1 off! 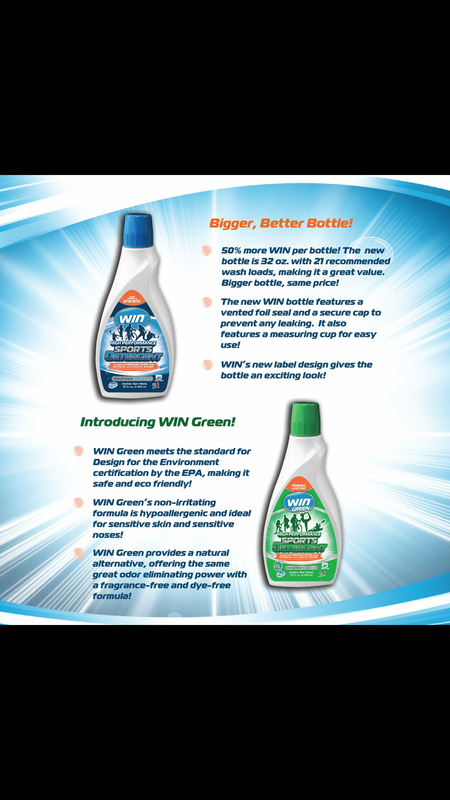 You can also enter to win 2 bottles of WIN detergent (1 blue, 1 green) by clicking the Rafflecopter link below!